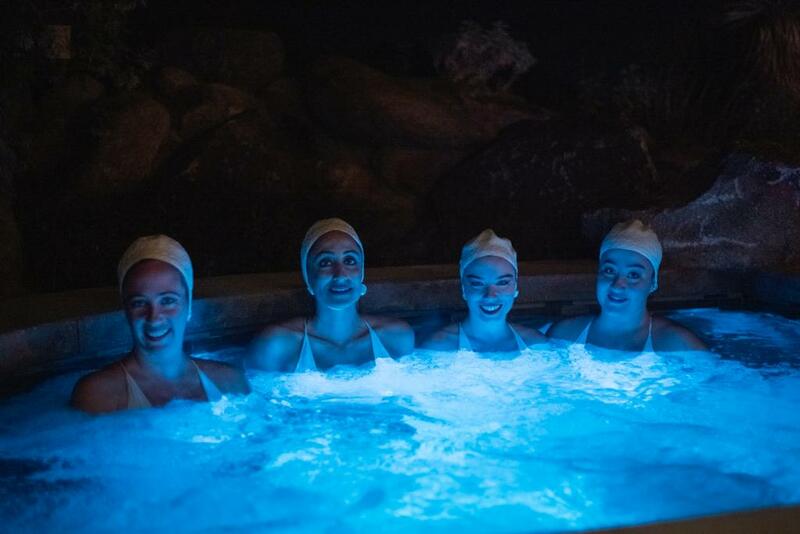 Aquabatix USA performed for a Christmas in the desert party in an incredibly stunning pool at a house in Indian Wells, situated in Coachella valley. 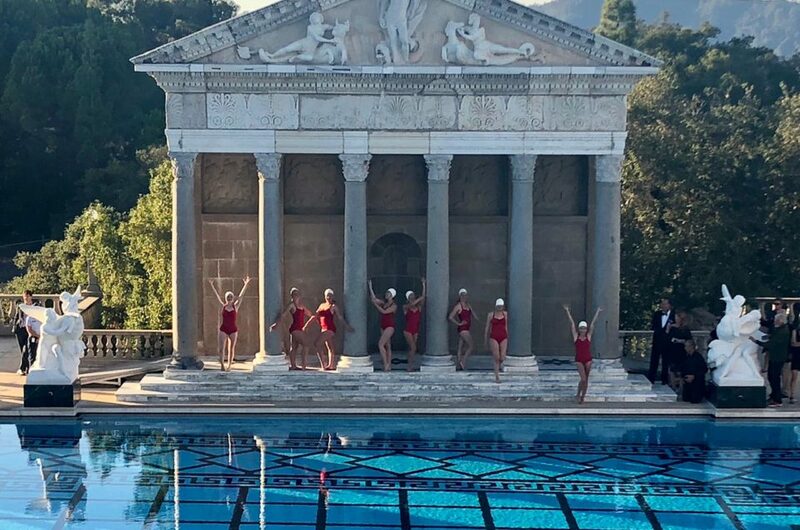 The 60ft pool, overlooked by the hills of a canyon and surrounded by plants, provided the stage for the synchronized swimmers, who performed to the ultimate Christmas song, Mariah Carey’s All I Want For Christmas. 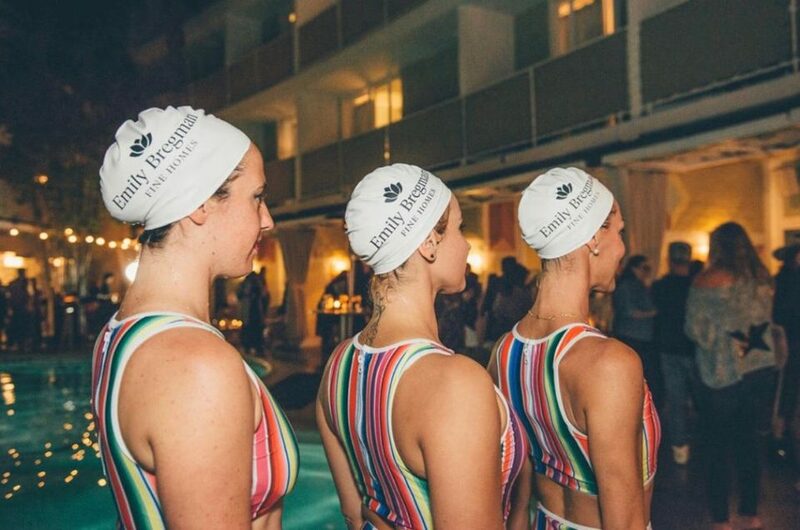 The girls, dressed in white swimsuits and caps, paraded through the audience to grab their attention, before diving into the pool to begin their aquatic routine. Full of cheers from the guests, the girls smiled their way through the routine to the delight of those standing around the deck. After the finale, the synchronized swimming troupe posed for photos with guests and also with the generous host of the party, Mr Rusnak. 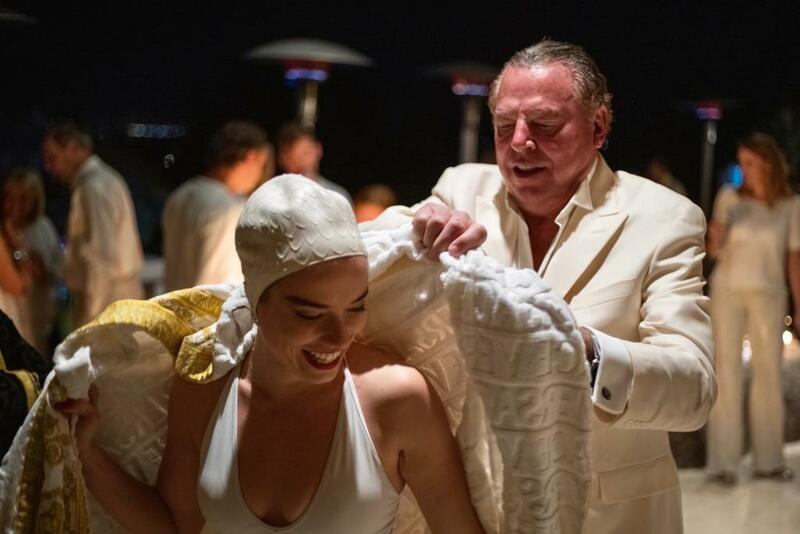 The event was organized by the Reserve Club.